He graduated in Medicine on 04/11/1981 with highest honors (110/110), a thesis entitled "Evaluation of the behavior of women in labor with the test of Schaefer and Mannheimer." From 03 / 09/1987 to 01/11/1987 has served in the USL 35 as Assistant Obstetrician-Gynecologist and alternate employment full time. From 17/10/1988 to 31/05/1989 has served in the USL 36 in Catania following assignment ottomestrale "Help Co-Head of Obstetrics and Gynecology." from 01/06/1989 to 31.12.93 at the Hospital "Cannizzaro" of Catania with the functional position of "Help Co-Hospital of Obstetrics and Gynecology "ratio of full-time work. From 01/01/94 to 30/04/94 Executive Level I band A - Department of Obstetrics and Gynecology, role. From 01/05/94 to all ' Manager today I level with responsibility for Organizational Form "ONCOLOGY GYNECOLOGY." 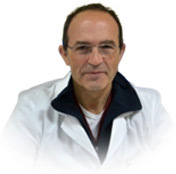 Dr. Scollo is also President of The Italian Society of Obstetrics & Gynecology (SIGO).